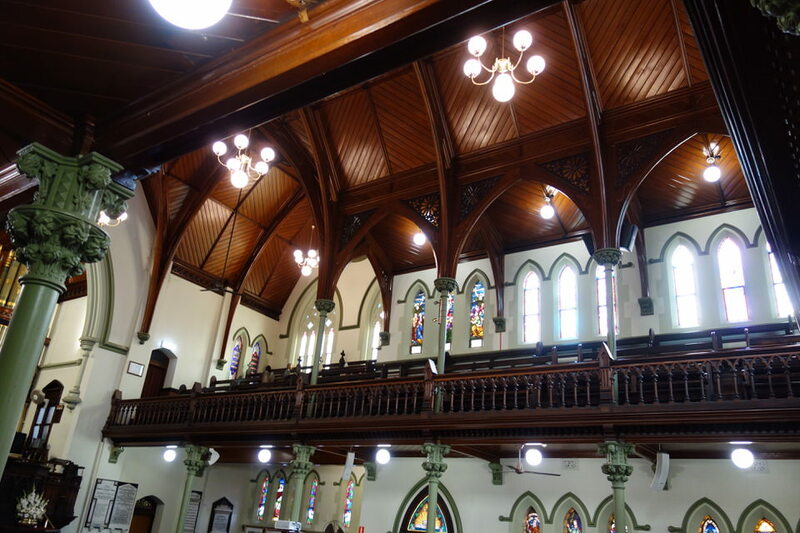 Brisbane Open House usually held the first Saturday in October, opens the doors to many of the city’s buildings – historical landmarks, galleries, office buildings, museums, places of worship and bridges. Well known buildings not usually open to the public are open for free public tours. Ed and I enjoyed our day of wandering around, popping into some of the buildings for tours, and learning some history along the way. 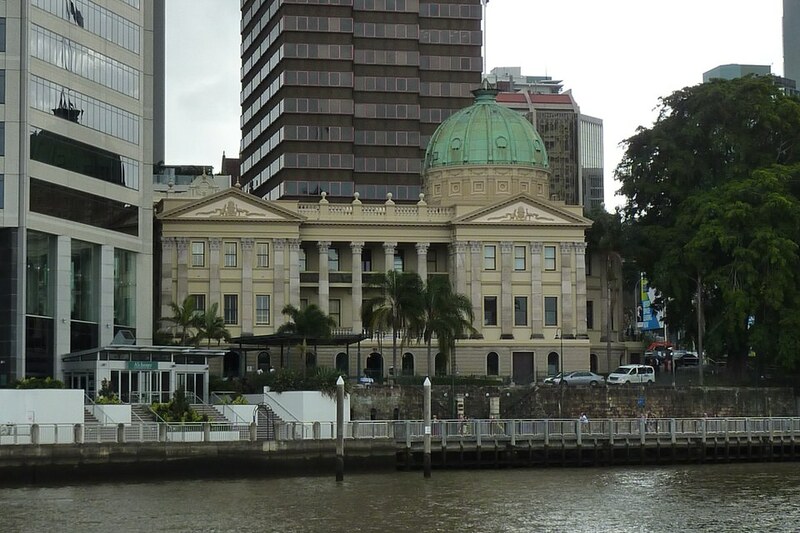 Although no longer used to collect custom’s duties, the Custom House serves as a beautiful reminder of Brisbane’s history as an important river transportation site. 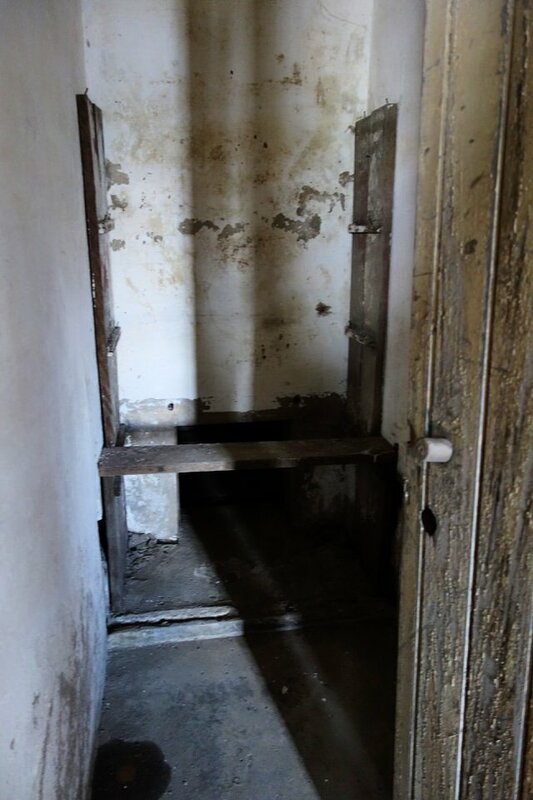 The picture below shows the original stall toilets in the Custom’s house. Under the bench would have been a bucket that would have been manually emptied out into the river in front of the building. 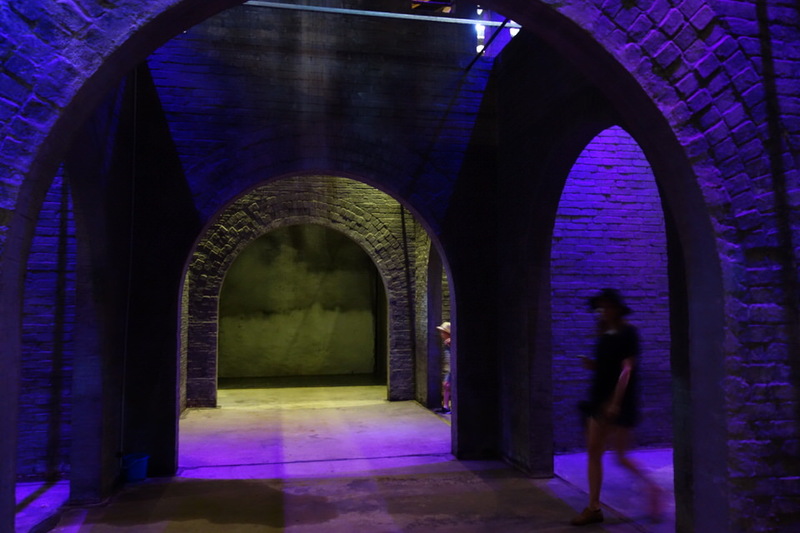 If you look carefully at the picture of the Custom’s house above, you will see the old wall under the custom’s house behind which these toilets are located. Bet you are now very thankful for our modern toilets! 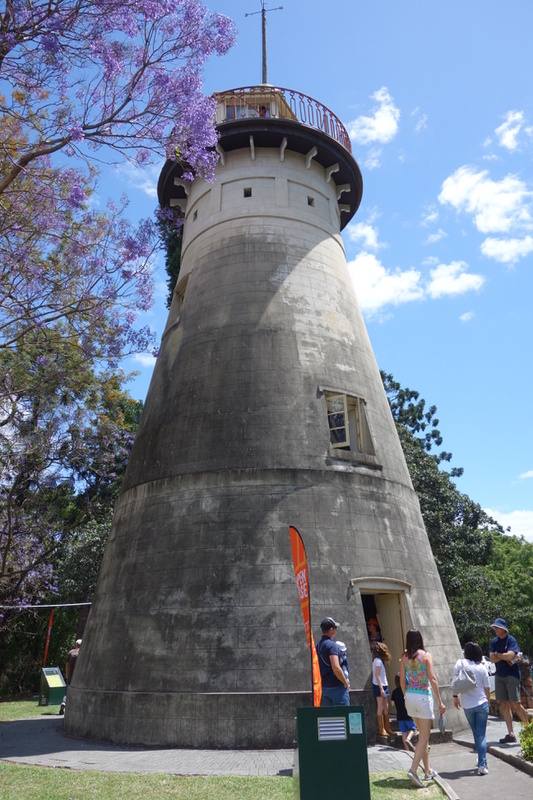 The Old Windmill Tower is culturally significant as Brisbane’s oldest building, the oldest windmill in existence in Australia, and the oldest surviving European structure in Queensland and one of two surviving convict buildings in Brisbane. 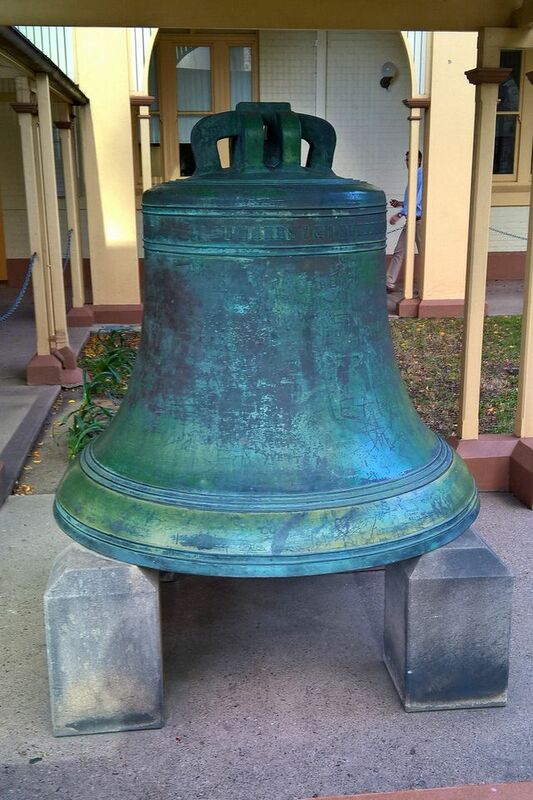 It was built in 1828, by convicts, for grinding grains to support the needs of the convict penal settlement. Although equipped with sails, its unfortunate windless location meant that it was powered primarily by convicts. As punishment, they would work the treadmill in 8kg leg irons for long shifts from sunup to sundown, with only a rough leather hat for protection from the intense sun. Sixteen men at a time would grasp an overhead rail using both hands and walk the 23cm wide steps continuously. The work was repetitive, exhausting, and dangerous as it was easy to become badly injured or even killed when collapsing from heatstroke or exhaustion. 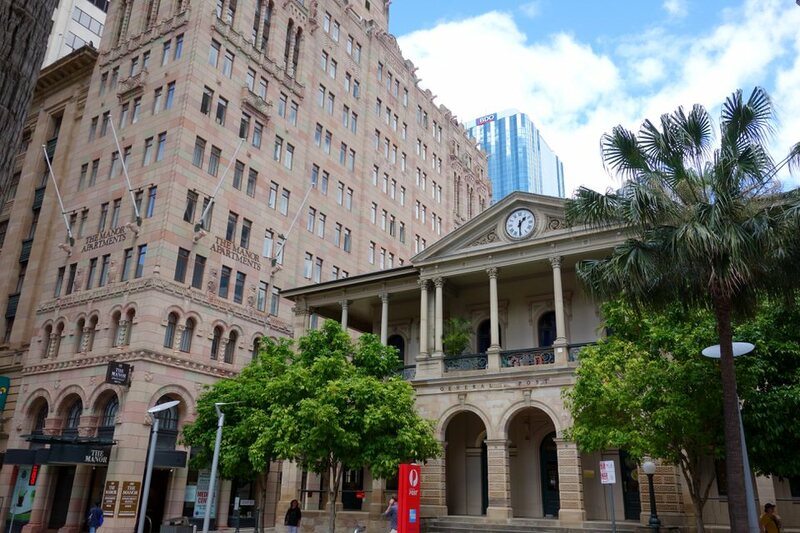 In spite of its dark and brutal history, the tower later served other useful and significant purposes such as: a telegraph signal station, a Fire Brigade Observation tower, a radio research center, and then for the first TV broadcast in Queensland. 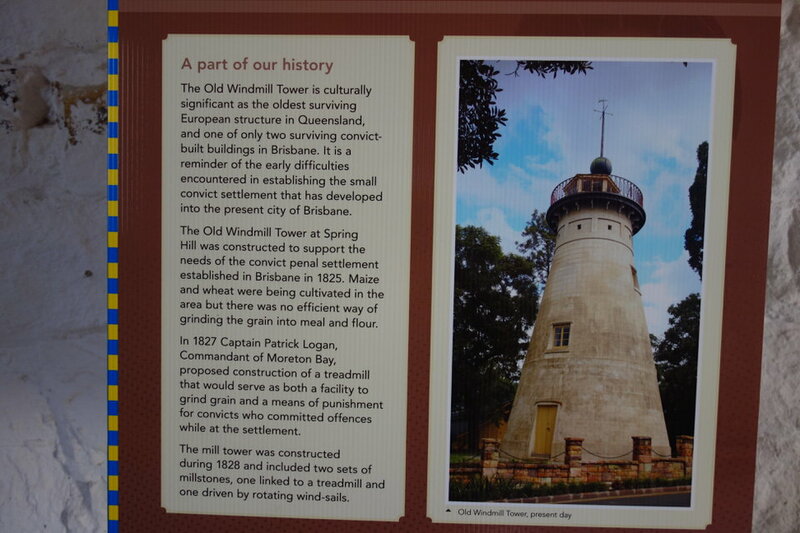 Next to the windmill are the old water reservoirs which provided storage for Brisbane’s first public water supply. I have taken pictures of the outside but never really been on the inside. 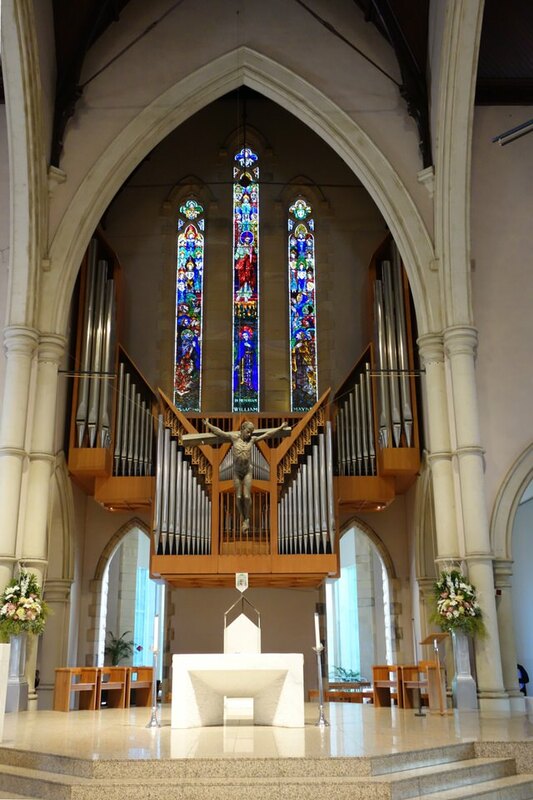 Although built in original Gothic Revival style in the late 19th century, it has a number of modern elements and artistic features of interest. 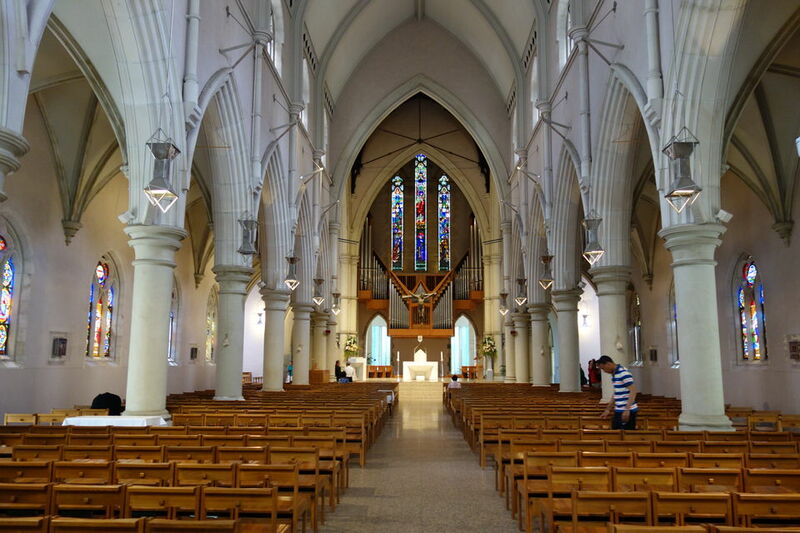 Looking toward the front of the Cathedral, one might notice the beautifully intricate stained glass windows, or the massive pipe organ. What I was drawn to the unusual (and controversial) crucifix. 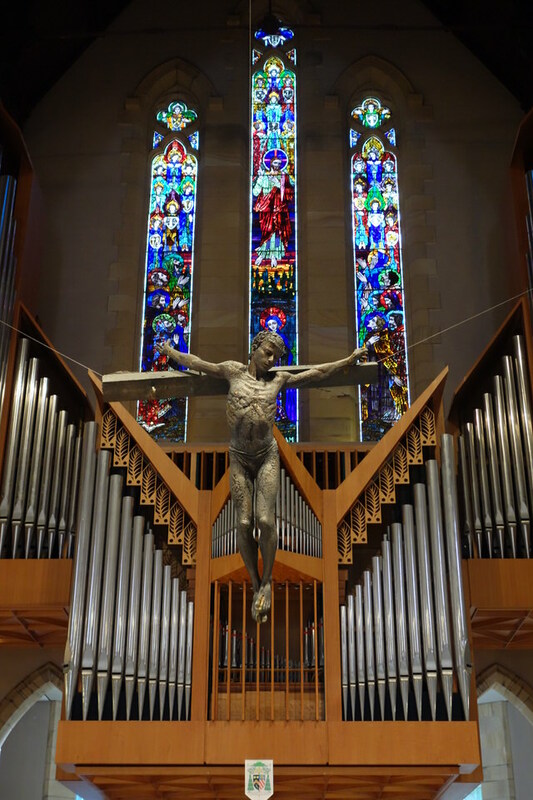 Here, Jesus is shown hanging from a single crossbeam. Of note is the single hand raised up heavenward. 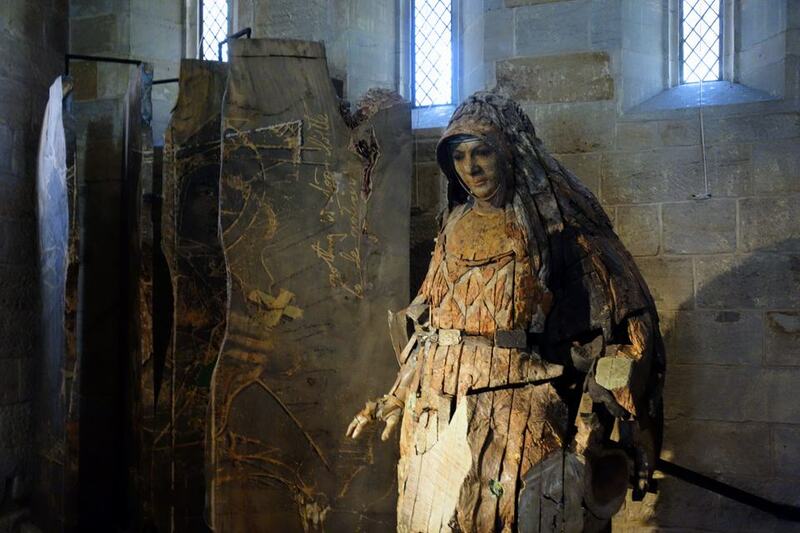 This symbolizes the resurrection. I was very moved by this crucifix as it is the only one that I have ever seen that points to the resurrection of Jesus. 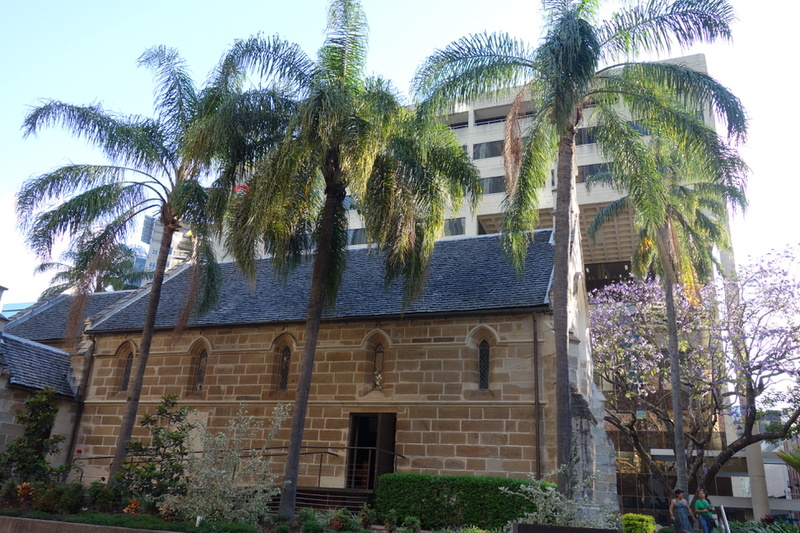 Next door to the Cathedral is the original St. Stephens, built in 1850. 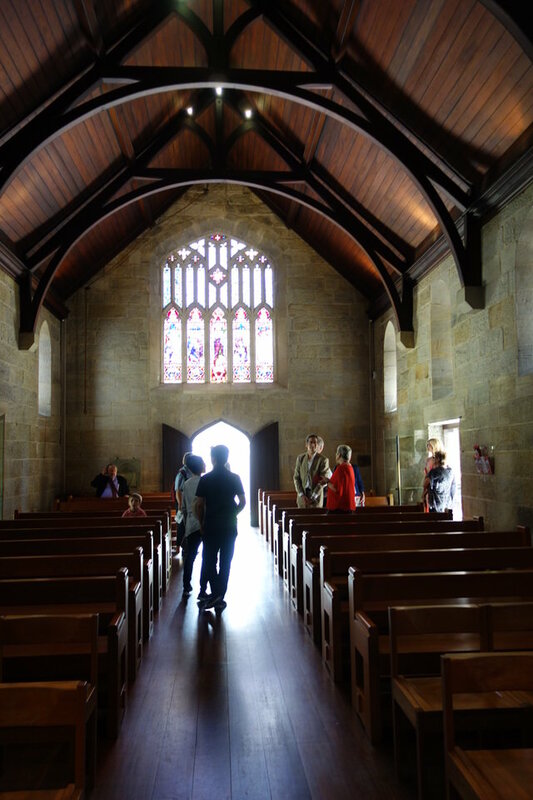 This is the oldest church in Queensland. Today it is in use as a chapel. It also has some notable works of art. 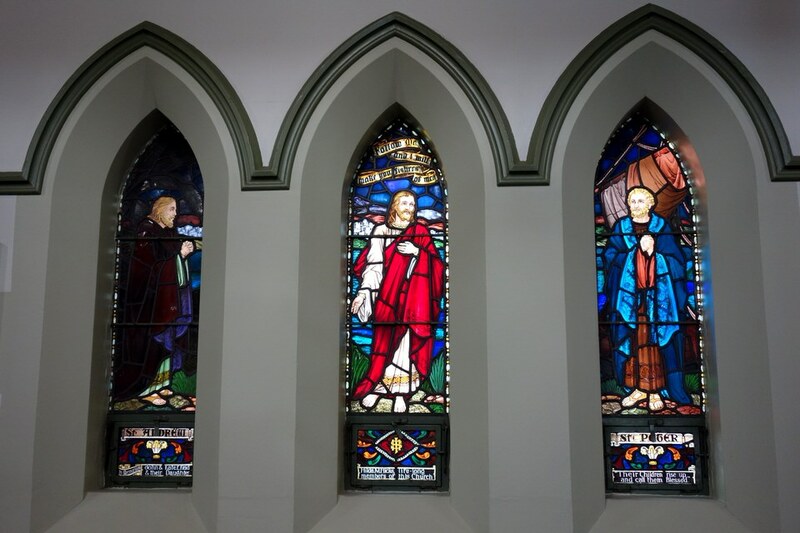 Saint Mary MacKillop and screen made from the same 100 year old wood. 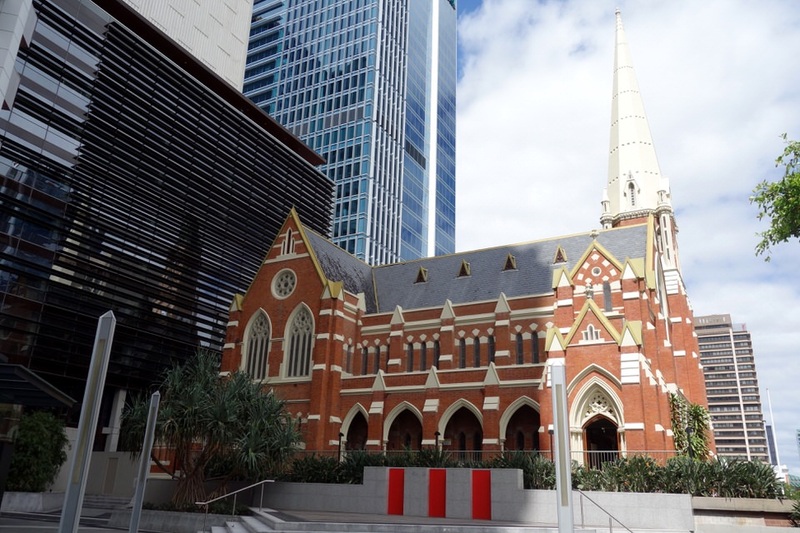 Found in the city center amidst modern buildings, and across from St. George’s Square and City Hall, is this strikingly elegant red brick church. 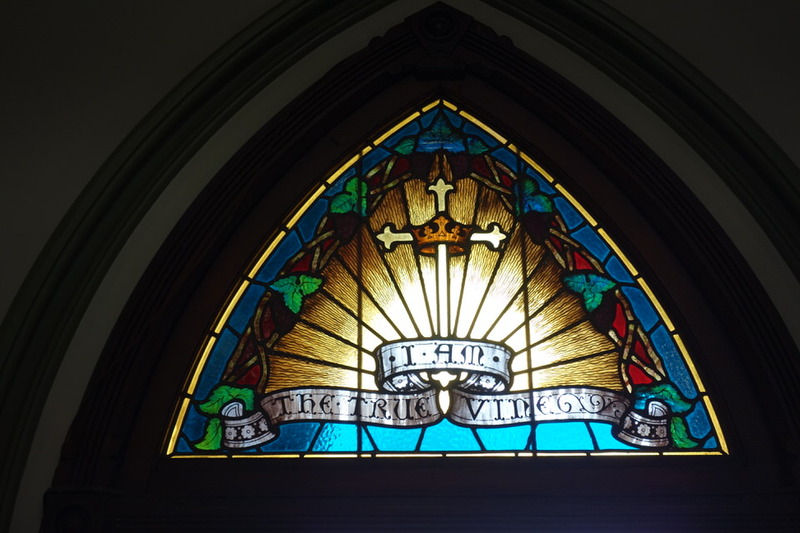 With a rich history, it continues to have a strong involvement in the community and in ministry to those in need or on the margins of society. Below – a broader view of the city architecture shows some interesting buildings. To the far left is the City Hall building with the clock tower. You can go to the top for a bird’s eye view over the city in all four directions. 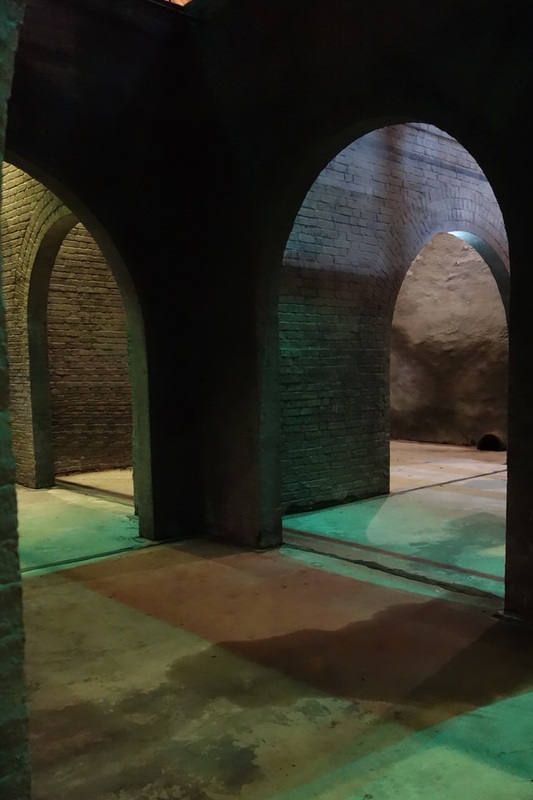 The City Hall is open door to the public and has some wonderful areas to explore. 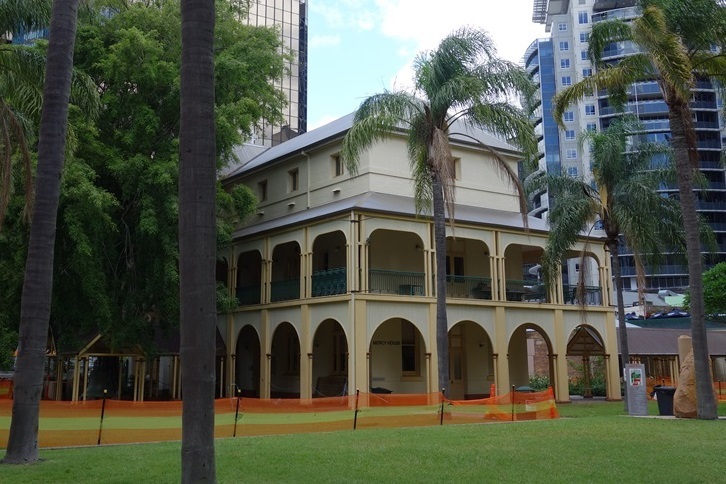 I have shown some of these in a previous post, “Brisbane CBD – Old and New.” One of my favorite areas is the Brisbane Museum, which I have highlighted in another post, “Loving Daughter.” Pictures were taken when I visited there with my daughter. Brisbane City Hall has an imposing 70 m clock tower which is based on the design of the St. Mark’s Campanile in Venice, Italy. 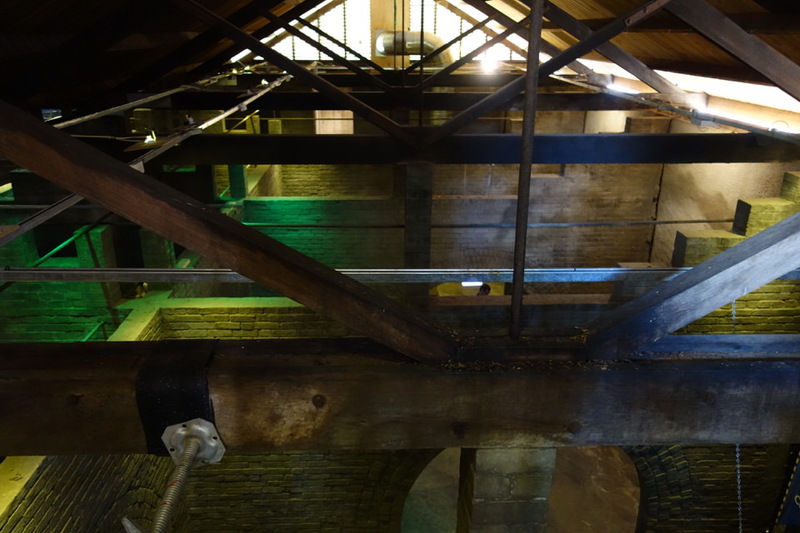 The four clock faces on each side of the tower are the largest in Australia (5m in diameter). The clock has Westminster Chimes, which sound on the quarter hour. I enjoy hearing this when I am in the city. 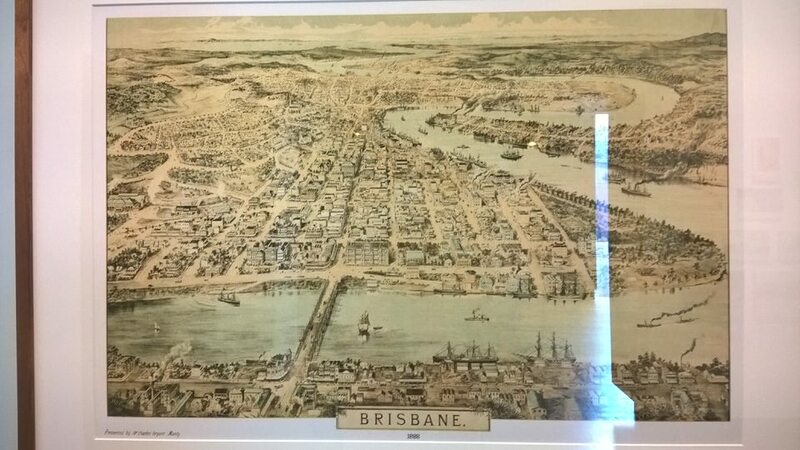 As you can see in the two pictures above, the Brisbane River is of defining importance to Brisbane. 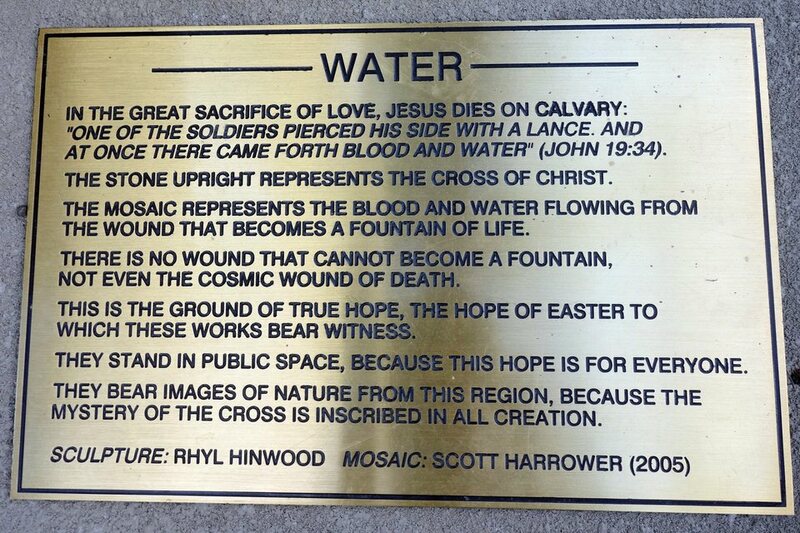 I found this interesting summary of Brisbane history on a plaque in the museum. 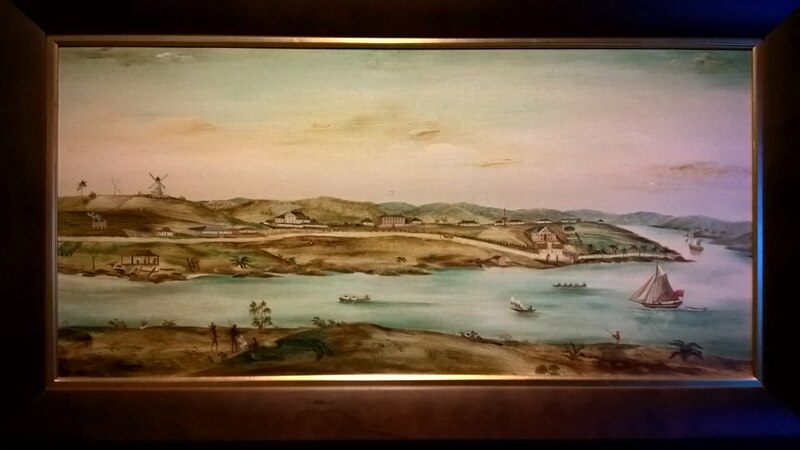 “The British Government began to doubt the desirability of maintaining the convict settlement by the early 1830s due to the expansion of pastoral industry and difficulties in administrating the convict depot from Sydney. Governor Gipps withdrew the last convicts during 1842. 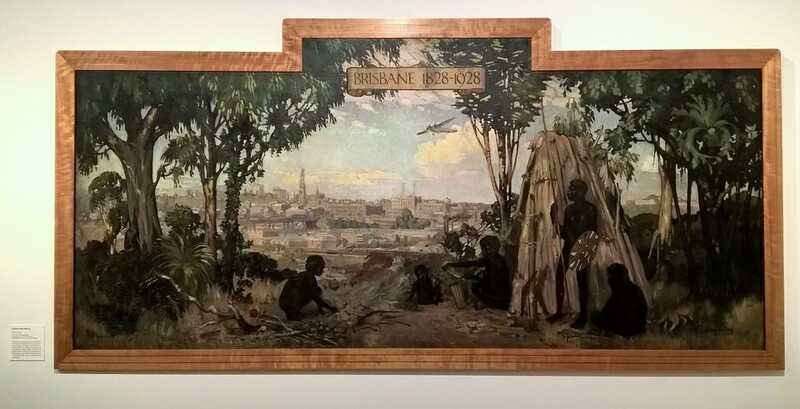 Although regulations inhibited settlement in Brisbane, enterprising entrepreneurs established businesses in the crude settlement. After surveyors had completed their work at both Brisbane and Ipswich, the first sale was held in Sydney on 14 Feb 1842. 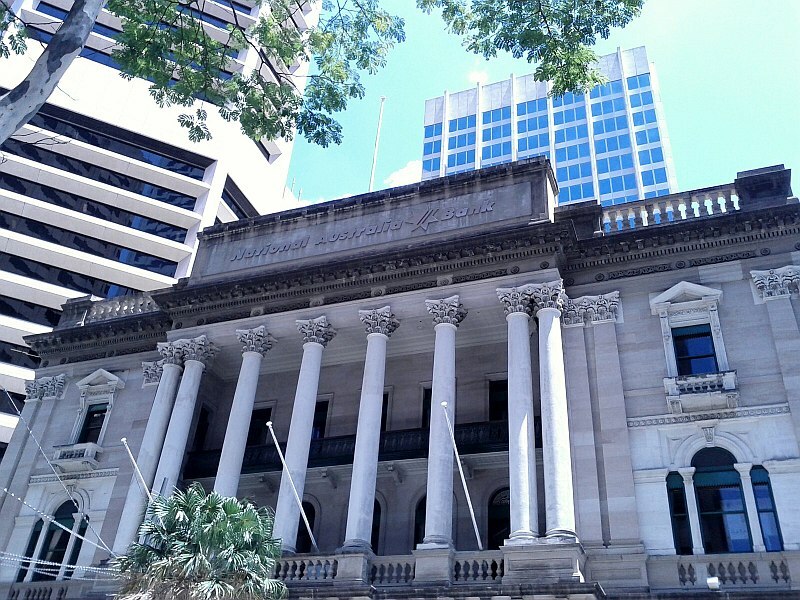 The development of the Moreton Bay district and Brisbane, its port and administrative, commercial and judicial centre occurred quite rapidly after free settlement, despite the neglect of the New South Wales government. Brisbane’s population increased from 960 in 1846 to 6041 in 1861 – a sixfold increase over 15 years. 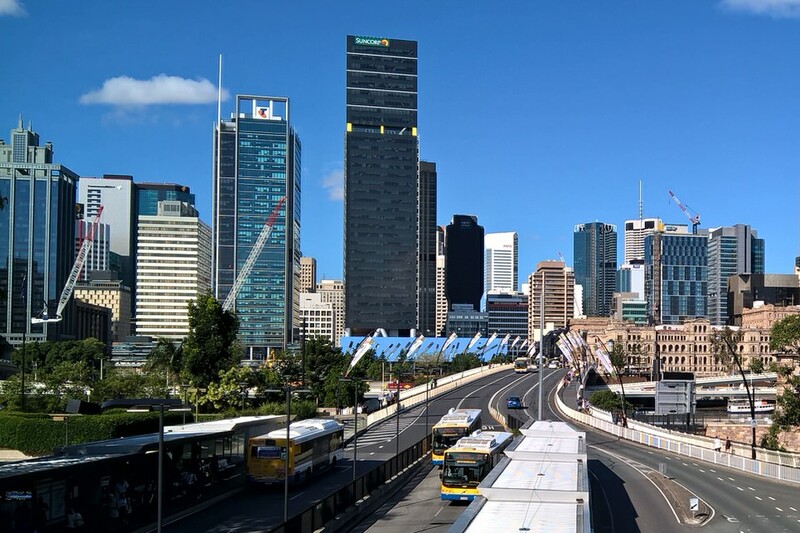 Today the population of Brisbane metropolitan area is at over 2.3 million and growing. The skyline is dotted with cranes everywhere you look. Below are a couple of other pictures created by a local artist, that I found interesting at the museum. 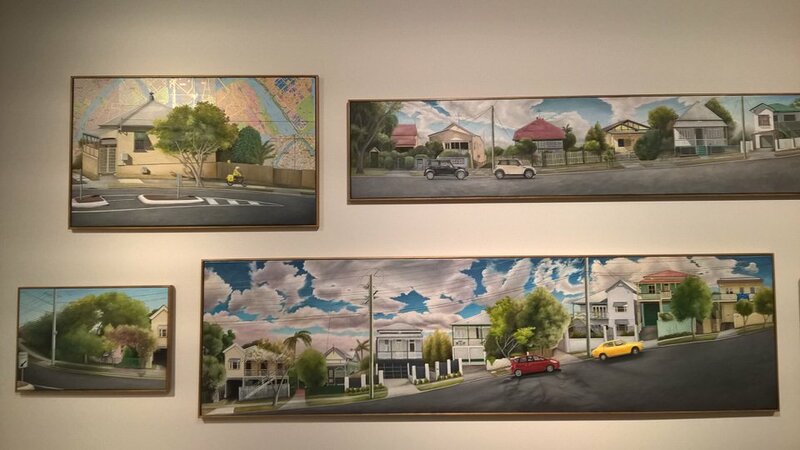 They show a typical Queenslander style neighborhood. You might spot birds in the pictures. There really are lots of birds here everywhere that you turn. It is amazing. In another picture you will see a picture of a mail delivery person dressed in yellow and on a scooter. Brisbane Square is the tall dark building in the center of the photo below. 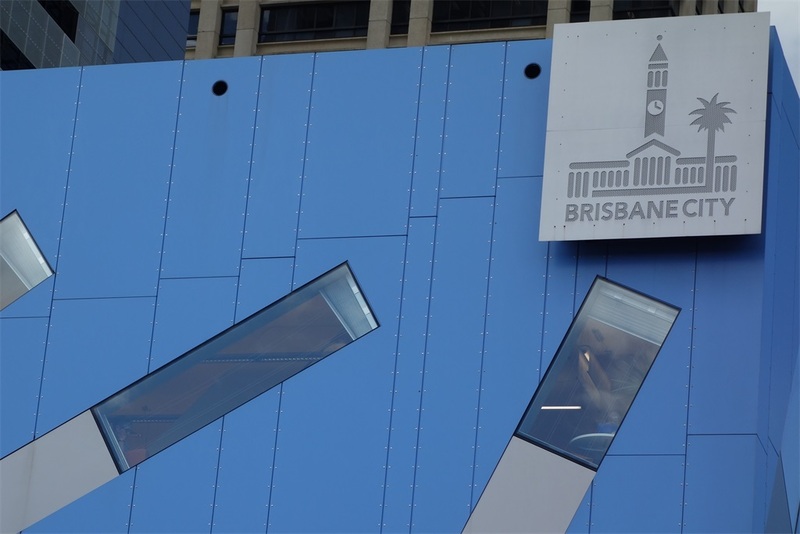 Although a relatively new building, it is included in the Brisbane Open House tour due to the important of its tenants: Brisbane Metropolitan Transport Management Centre, Brisbane Square Library, Brisbane City Council, Suncorp, among others. 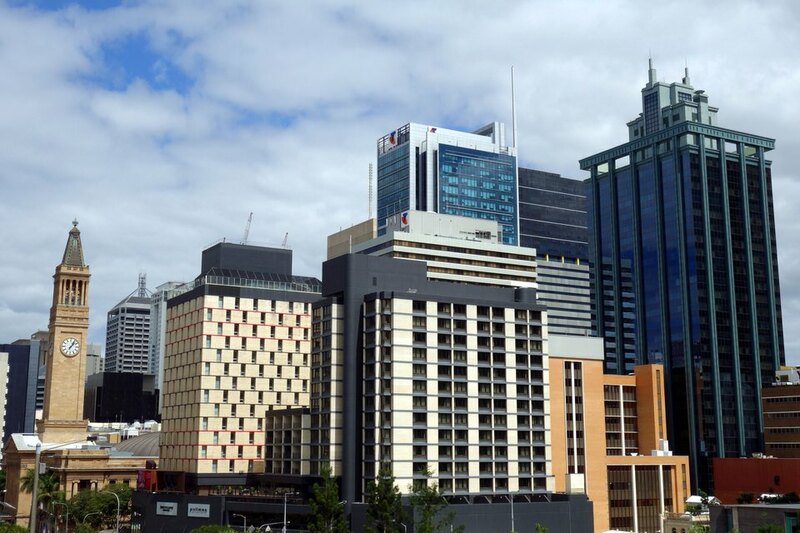 Brisbane Square is the largest commercial office building in Australia to have been awarded a 5 star Green Star rating. 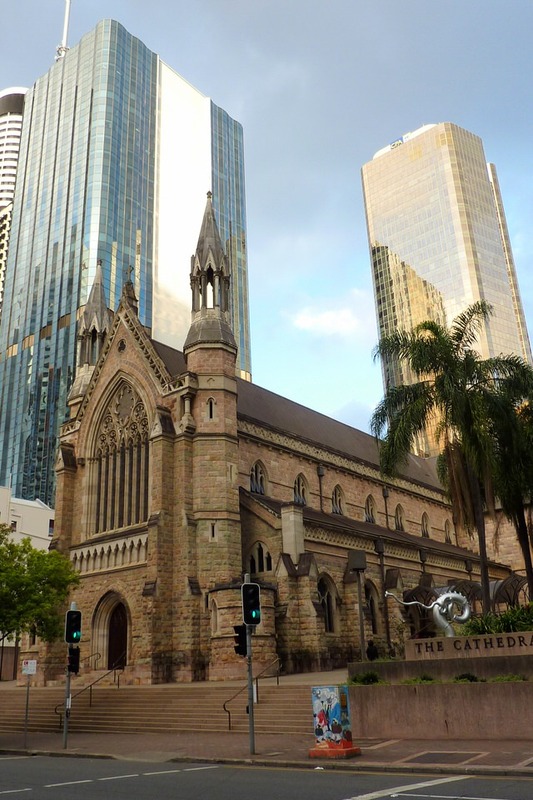 This entry was posted in Our Brisbane Life and tagged Albert Street Uniting Chapel, Brisbane city hall, Brisbane Customs House, Brisbane Open House, Brisbane Square, Museum of Brisbane, National Australia Bank, Old St. Stephens, Old Windmill Tower, Spring Hill Reservoirs, St. Stephen's Cathedral, St. Stephen's Chapel. Bookmark the permalink. And there’s my history lesson for the day. I enjoyed it all! I enjoy a little historical context to what I am seeing – although I would not say that I am a history fanatic. I do enjoy getting glimpses into the convict history of Australia.